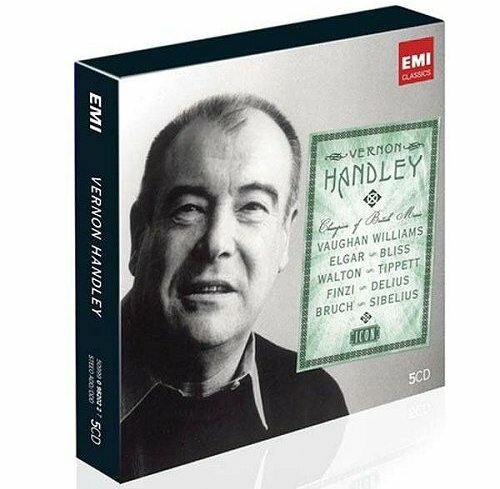 EMI's Vernon Handley Icon five CD set is truly a box of delights. Among the many and varied pleasures is the appearance of Beatrix Musker as producer of Tod's recording of Sir Arthur Bliss' Edinburgh overture with the City of Birmingham Symphony Orchestra. There have been some notable women producers working in classical music - Mercury's Wilma Cozart Fine immediately springs to mind. But, like much else in the industry, producing and engineering classical records remains male dominated. Beatrix Musker was assistant to illustrious EMI staff producer Christopher Bishop in the 1970s and worked with him on many great recordings with artists such as Sir Adrian Boult. After Christopher Bishop moved on to manage the Philharmonia and then Royal Scottish National Orchestra Beatrix produced a number of recordings for EMI including the Bliss. Tod was something of a lady's man and would have approved wholeheartedly of her appearance in EMI's retrospective of his career. And I can't help noticing that my first mention of the Icon set came in a trenchant post following George Entwistle's appointment as director general of the BBC. Well, Entwistle lasted just fifty-four days in the job, for which he was paid £450,000. Tod Handley never received his just rewards in his lifetime, but his name will live on for a hell of a lot longer than that of a failed BBC mandarin. Christopher Bishop has phoned to remind me that Beatrix Musker also produced a cycle of Beethoven symphonies with Kurt Sanderling conducting the Philharmonia Orchestra.